With a push of a button, retractable roofs can help you to transform your backyard into an enjoyable paradise, because no manual effort is required to operate the retractable roofs. Our retractable roofs in Sydney features unique automatic drive and innovative design. In order to provide uncluttered exterior views, the covers of the retractable awnings are designed in such a way that is thermally efficient and light weighted. A retractable roof can be installed anywhere including homes, restaurants, businesses and other commercial enterprises. The comfort and shelter are the main reasons why people invest in retractable roofs. Read further to know why these retractable roofs are popular among people. 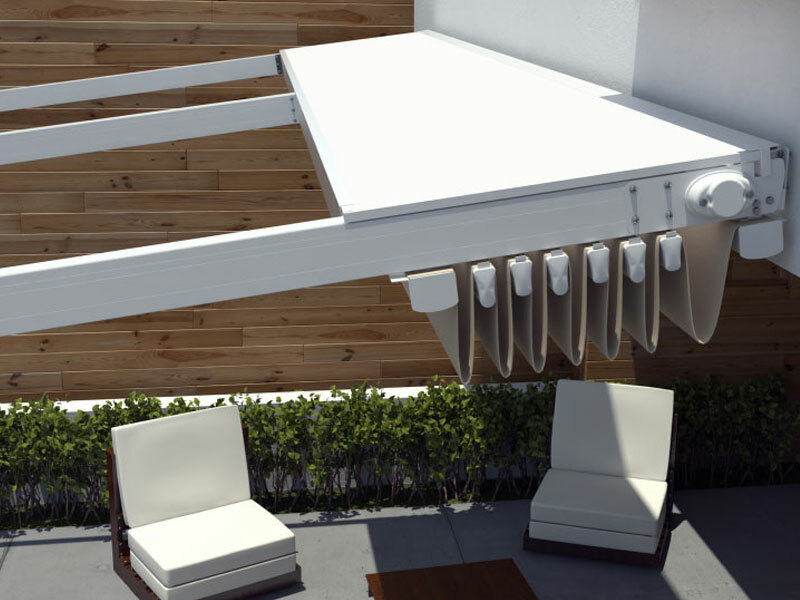 The retractable roof is not only used for shading purpose but also the versatility of these innovative products is one of their key selling points. This type of roofs can be completely drawn for block-out shade or for protecting from rain, or it can be retracted completely to enjoy the night time star-gazing. Partial closures of the retractable roofs allow the right amount of sun and warmth come through and because of their easy and quick operation, adjustments can be done within few seconds. Whether it is a standalone building specially constructed for an event space or a shading solution designed without uprights to complement the design of courtyard at a beach front home, retractable roof systems in Sydney can be made to suit any décor or architectural theme. The roof comes in a variety of designs and attractive colours, including domed constructions and looks beautiful when opened or closed. A retractable awning insulates the home against the heat and cold so that you can save on heating and cooling costs. The lower energy bills will help you to save a huge amount, and you can utilise that amount for other expenses. The retractable awnings will extend the living area of your home and create more usable space in a restaurant or commercial space. As it is available in different colour and variety of designs, the retractable awning integrates well with any décor scheme and enables a seamless connection between the indoor and outdoor spaces. The retractable awnings will not only protect your furniture from the damaging effects of prolonged exposure to the wind, rain and sun but also helps to keep your assets looking new and performing at their peak for longer. These are the reasons why retractable awnings are popular among many in your area. Therefore if you want to expand your backyard, choose the best retractable awnings manufacturer. The retractable roof prices in Sydney are affordable, and they offer you the control over the weather and let you have a pleasant outdoor experience.